This is not Evil Ruy, although it kinda is. 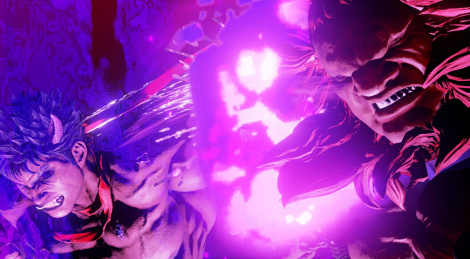 Kage, the newest character of Street Fighter V: Arcade Edition, is the embodiment of Satsui no Hado, the evil spirit that turned Ryu into Evil Ruy. Satsui returns but with its own physical form which still looks like Evil Ryu. The character is available now for 100,000 Fight Money or $5.99. Trailer and screens inside. Really disappointed that Capcom didn't splatter the Pro Tour ads in the back, scarf, pants and horns. 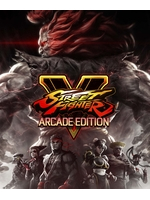 It just doesn't feel like "Ads Fighter V: Adverts Edition", so I will pass. Hopefully Adverts Evil 2 Remake and Adverts May Cry 5 will have ads splattered all over the characters, backgrounds and weapons. I personally would love to see and ad across Dante's forehead while he's grinning like a madman. It will be a dream come true if they also have some loot boxes and macrotransactions for you to buy more adverts like from McDonald's and Coca-Cola, though my personal dream is being able to splatter EA and Activision all over the Capcom's games. Monster Hunter: World and Mega Man 11 should be updated with adverts as well. It just feels like they lack a soul and identity without them. But Capcom is very intelligent, I'm sure they will come around to it eventually. Next they will come up with the really really really evil version of Ryu called Ury. I can't get over those stupid glowing horns. 5.99 for a single fighter? Wtf! Not really above the rates of other games. Tekken characters go up to $7.99. Maybe you don't understand the ad system: it's opt-in/opt-out. So Kage does indeed have ads.